If you’re looking for a new vehicle that can offer you the interior passenger space you need to haul your family around town, you’ve just found the perfect vehicle. 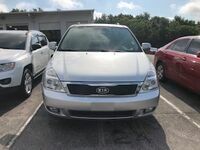 The Kia Sedona in Tampa, FL gives you an interior that provides seating for up to eight passengers and a tremendous amount of cargo space that you’ll need when hauling that many people. The Kia Sedona minivan is offered in many different trim levels, so you’ll have no problem getting all the family features you’ll need while on the road. From the latest technology features to a long list of comfort options that every passenger will enjoy, the Kia Sedona has what you’re looking for in a used minivan. 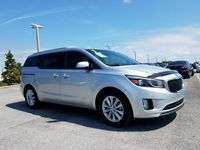 The Kia Sedona is a great pick for a used minivan in Tampa, FL thanks to its long list of family-friendly features that provide you with the technology and comfort you need to stay connected, entertained, safe and relaxed while on the road. 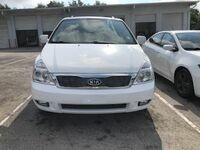 Buying a used Kia Sedona in Tampa, FL is easy when you have a dealership like OkCarz. With our large inventory of minivans, you’ll have no problem finding one that has all the amenities you desire. The impressive list of family features available in a used Kia Sedona includes favorites like Slide-n-Stow second-row seats, air-conditioning, a split-folding third-row seat, stain-resistant upholstery, USB ports, Bluetooth connectivity, a driver information display, navigation system, premium audio system, power sliding doors, keyless entry and ignition, tri-zone automatic temperature control, rear sunshades, satellite radio, leather seats, an 8-inch touchscreen infotainment system, voice controls, eight-way power driver’s seat and many advanced safety systems that help keep you safe.